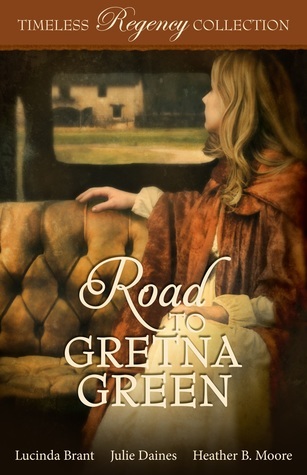 Road to Gretna Green (2018) is a really good collection of novellas by Lucinda Brant, Julie Daines, and Heather B. Moore. This anthology is part of the Timeless Regency Collection published by Mirror Press, and was just released on May 15, 2018. This book is available in eBook form, and is 230 pages in length. This collection reads as a stand-alone; it is not necessary to read any of the other books in the Timeless Regency Collection series to understand the stories in this anthology. With a full-time job and an exceptionally precocious six-year old at home, this novella series took me three days to read. I received a copy of Road to Gretna Green in eBook form from the publisher via Kathy at I Am a Reader. In no way has this influenced my review. The opinions expressed in this review are my own. I give this novella collection 4.5 STARS. This collection is a Clean Historical Romance series. Overall, I found “Saving Grace” to be a very sweet and engaging story. It did take me a moment to sort out who was who at the beginning. 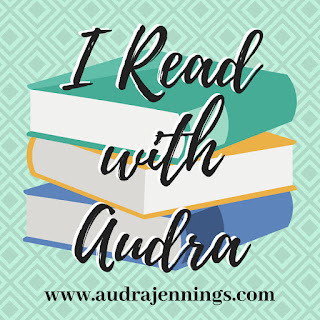 I found I needed a second to figure out who the protagonists were because this story begins from Edith’s point of view but she is not a main character, which threw me off for a few pages. But, once the story gets to the main characters’ points of view, I found the story to be rather delightful. The characters are quite likable, and I found myself cheering on Royston and Helen rather early on in the story. I very much enjoyed the plot masterminded by Royston’s family, unbeknownst to him, to get him and his sweetheart to the altar! That part is fun, and actually contains a twist I didn’t see coming until it hit me square in the face! This is definitely a short story I would recommend. Funniest short story ever! I laughed out loud reading this one. “Fools Rush In” is a story I would re-read again and again. Eliza and Arden are FANTASTIC characters. I love how they easily interact with each other right from their first meeting. At first, their relationship is born out of self-preservation, but as the story progresses the bond they form is unbreakable even with a crazy lunatic chasing after them. Richard is definitely a knight in shining armor doing whatever it takes to keep Eliza from Barrington. He is a man of his word, and does whatever necessary to protect those he cares for and loves. Richard is a really sweet hero. Eliza is hilarious — the things that come out of her mouth are so outlandish. She is a witty and creative storyteller. Overall, I give “Fools Rush In” a 5+++++ rating. This is such a great story. I am actually sad my time with Eliza and Richard is over. I love Heather B. Moore’s writing. She is SOOOOOO good! I have not come upon a story written by her that I did not like. Of the three stories in this collection, “A Lady of Scandal” is the best. It is well-written and well-paced. It flows like a full-length novel. The characters in this short story are excellent, too. Hugh and Bridget are perfect. I love stories where the main characters don’t like each other at first. It’s one of my most favorite tropes. Moore does an excellent job with this in that the characters don’t know each other at all, they’ve never even seen one another, yet the dislike and distrust between the two at first is palpable — I could have cut it with a knife! As the story progresses, Hugh and Bridget slowly begin to thaw towards one another and the love that grows between them grows naturally and realistically (for a short story). I really love this story, and I’m so sad my time with the characters is over. I definitely rate this story 5+++++ STARS. Overall, I highly recommend this collection of novellas. The writing is good in all three stories. I found the story lines of each story highly engaging and fast paced. And, I genuinely loved the characters. For a short story length, the characters were all well developed and realistic. If you are looking for a really good anthology to escape into, then I highly recommend Road to Gretna Green.